E.J. York, Inc. has long standing relationships with a plethora of New York's most prestigious financial institutions and corporations. 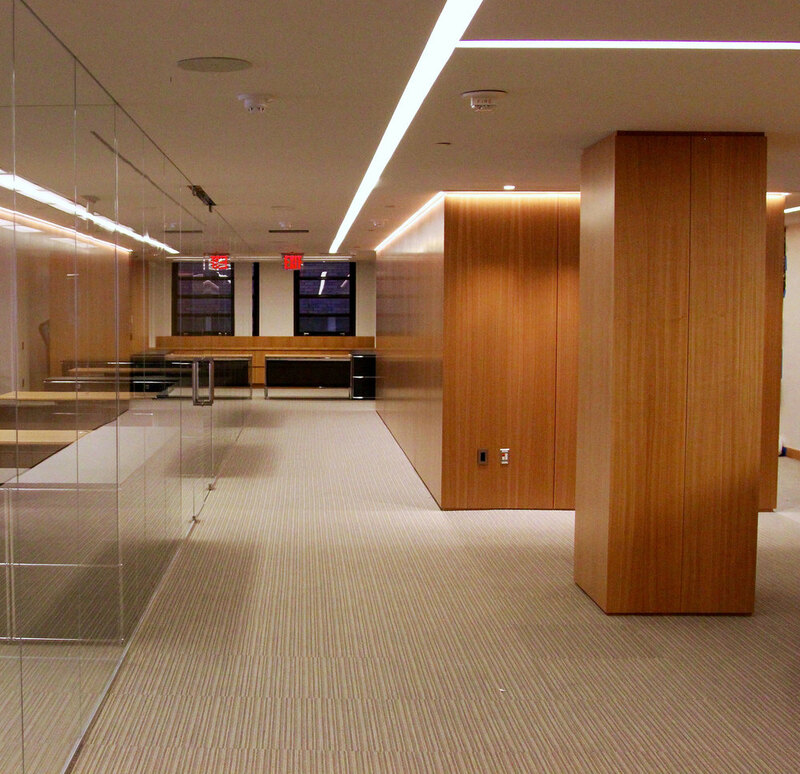 This project required the utmost attention to detail and ability to plan ahead and handle materials with care. Working with renowned architect Nasser Nakib, the vision for the space required all wood and glass partitions making it a very challenging build out. As the onsite CM field representative, E.J. York Inc. has built several projects on time and within budget for this national Design Build Firm primarily constructing banks and lending institutions such as Self Reliance Federal Credit Union and Q-Side Federal Credit Union. E.J. York Inc. completed many corporate offices for this national property owner in both the General Motors building and their corporate headquarters at 305 East 47th Street including renovations to the executive suite and at the General Motors Building. E.J. York completed this retail Federal Credit Union in Queens NY in ten weeks. All of the mill-work was fabricated in Canada and installed by local carpenters. E.J. York completed the renovation of the Empire State Building 86th Floor Observation Deck. This project included ADA modifications at all entrances and restrooms. This challenging design stayed true to its Art Deco décor.